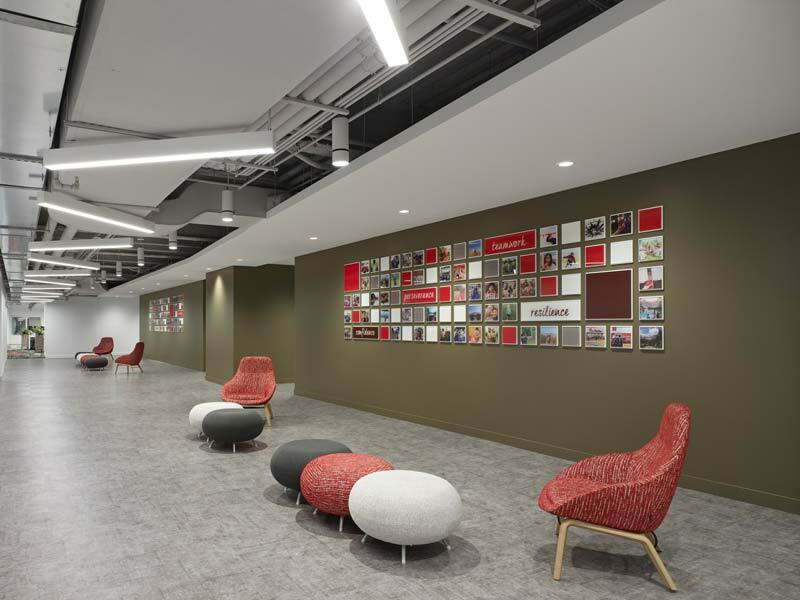 The décor of Tim Hortons’ new head office stays true to the company’s Canadian roots. 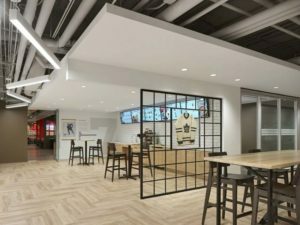 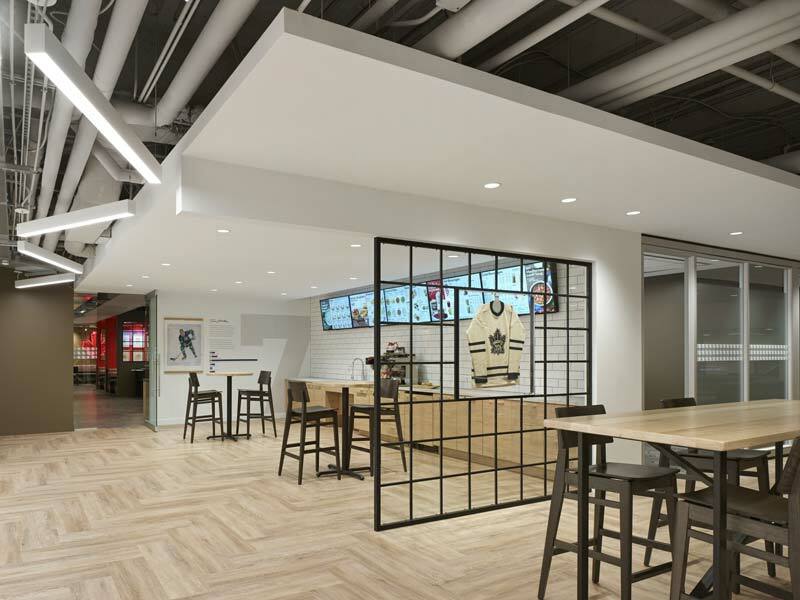 Food-service franchise system Tim Hortons recently unveiled its new open-concept head office in downtown Toronto. 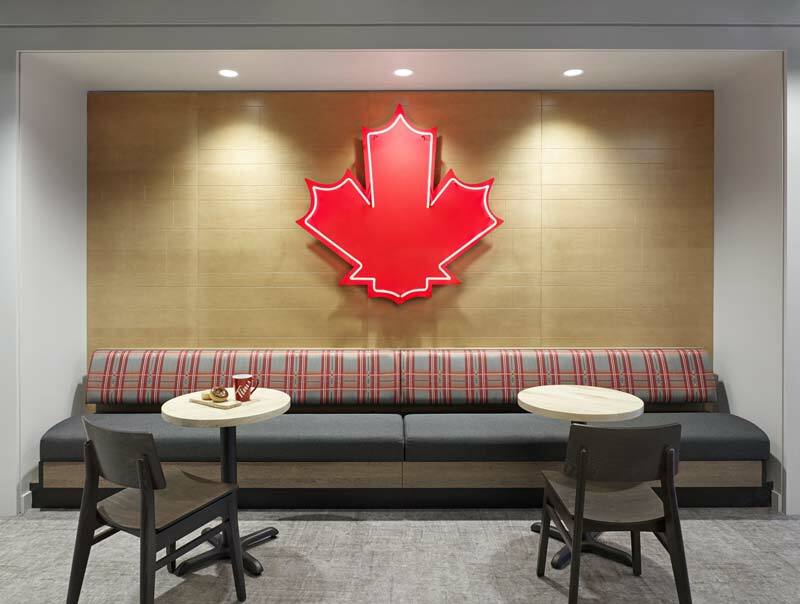 Designed by architecture firm Gensler, the 6039-m2 (65,000-sf) two-level space features more than 20 coffee and tea brewing stations, as well as a test kitchen, staff café area, and an outdoor terrace, complete with Muskoka chairs. 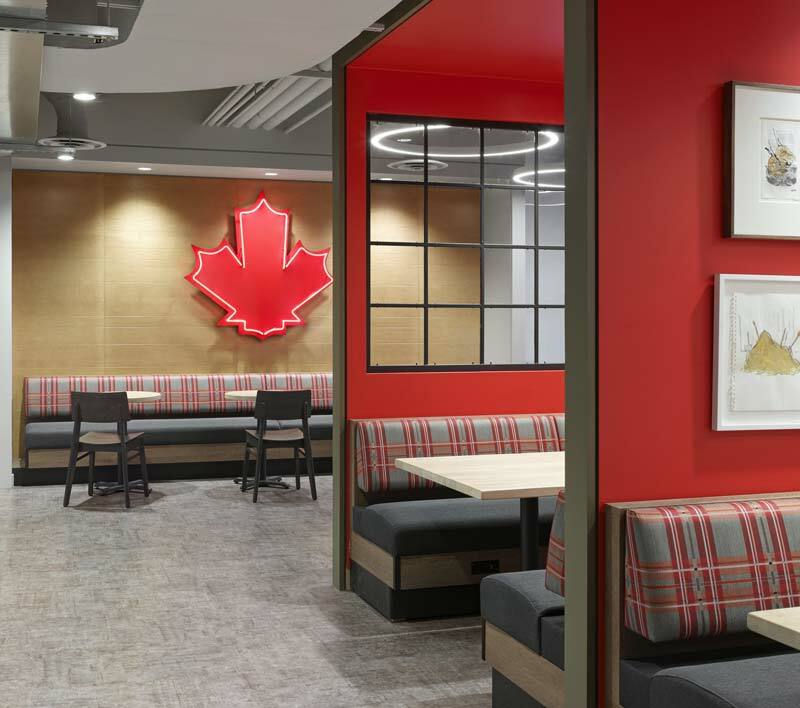 The office’s décor echoes the company’s history, complete with imagery of original Tim Hortons coffee shops and of the brand’s namesake.